Embrace a new sliding experience ! If you want to learn snowboarding or to improve your sliding skills, the ESF Auris is the place to be ! 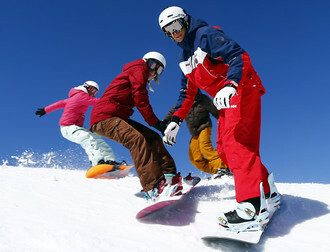 Whatever your level, our snowboard instructors will help you improve in a convivial way. Either you want to progress at your own pace or to explore the ski domain with an instructor, the ESF Auris will provide you a truly customized time. Every Saturday private lessons are available all day long! Supplement per student from the fourth one: 15€.